Join this FREE webinar designed to help you understand the revised Uniform Residential Loan Application (“URLA”) or 1003 form. DocMagic's Chief Compliance Officer, Gavin T. Ales will explain the new forms, compliance updates and the deadlines you need to be aware of. Register for our free webinar here! Join Tanya Brennan, DocMagic's eService Product Specialist, for a FREE educational webinar. Learn what you need to know to prepare for the Uniform Closing Dataset (UCD) Requirement before the September 25, 2017 deadline. Our special guests Daniel Miller, Digital Alliance Manager & Sejal Patel, Financial Service Manager from the Single Family Digital Products division at Fannie Mae will be on hand to answer your questions about UCD. Webinar: Get Ready for the UCD Requirement- What you need to know! Join us for a Free DocMagic Webinar: Get Prepared for the UCD Requirement! Join our own Tim Anderson, Director of eServices, along with Kathy Scanlon, Lead Project Manager – UCD / Loan Closing Advisor at Freddie Mac, for a FREE educational webinar! Learn what you need to know to prepare for the Uniform Closing Dataset (UCD) Requirement before the September 25, 2017 deadline. Join DocMagic on June 24th, 10AM PDT for a Compliance Edge™ Webinar! This webinar will offer multiple perspectives for TRID implementation from several distinct vantage points in the mortgage industry. We're excited to feature a unique lineup of special guest speakers providing insight into lender, investor, and LOS company perspectives. 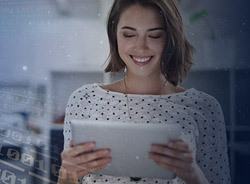 The webinar will focus on TRID pain points, working with vendors, changing processes and policies, educating staff, internal testing, and operational risk. Join DocMagic on June 4th for a Compliance Edge™ Webinar! 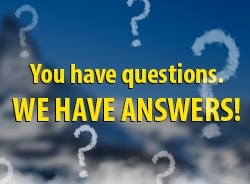 We know you have many questions! 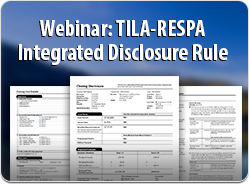 This exclusive TRID webinar has been added to our TILA-RESPA Integrated Disclosure Rule Webinar Series to provide as many answers as possible. We’ll be joined by our guest presenter, Richard Horn, formerly Senior Counsel and Special adviser to the CFPB's Office of Regulations and one of the key architects of the TRID rule. Together we will be answering your TRID Rule questions live for a full hour. As a reminder, all registrations will be sent a copy of the webinar recording shortly following the webinar. Join DocMagic's Compliance Edge™ for a FREE Webinar! 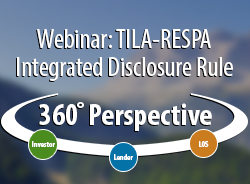 This webinar is the first in our series focused on the TILA-RESPA Integrated Disclosure (TRID) Rule. Our goal is to help you with answers to the compliance questions you’ll be asking as you prepare for TRID reform on August 1, 2015. 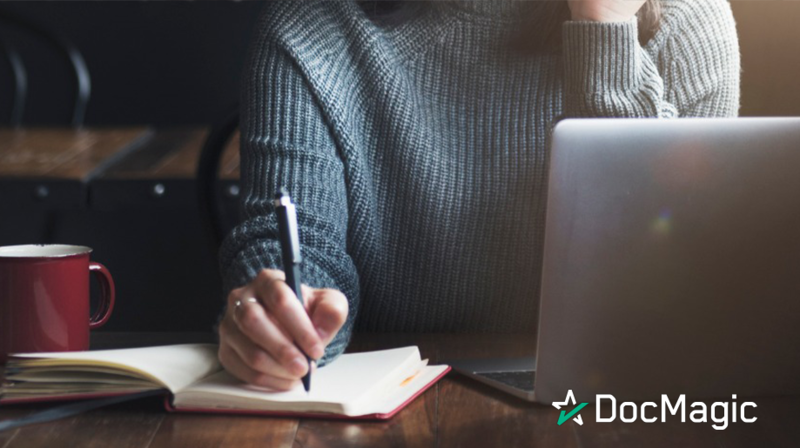 DocMagic’s Chief Compliance Officer, Gavin T. Ales, will clarify the fundamental requirements surrounding the new regulations. Webinar: Flood Certifications- What you need to know! DocMagic and Servicelink present a FREE Flood Certification webinar! Our special guest speaker, Mike Hanson, Senior VP at ServiceLink National Flood has over 22 years in the flood determination and compliance industry. Mike will bring his unique perspective on the latest compliance regulations, explain recent developments in risk mapping, and demonstrate a wide-ranging knowledge of the Flood Insurance Industry. 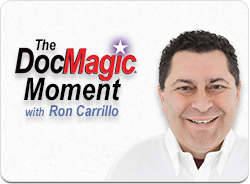 Ron Carillo, DocMagic’s Training Manager will demonstrate DocMagic’s dedicated and proprietary flood app through ServiceLink! Learn how to access existing flood cert orders, order 2nd certifications for FREE, edit borrower information online in real time, service transfer capabilities, upload and view documents and much more. 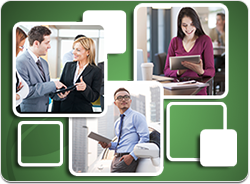 Join DocMagic, the leader in mortgage document solutions, on Wednesday, July 16th, 10:00 AM PT for a FREE webinar. At DocMagic we think it’s critical for borrowers and lenders to communicate efficiently. That’s why we’re so excited about BorrowerMobile, an application designed for your borrower’s tablet or smart phone. 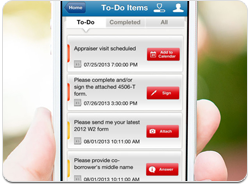 Borrowers and lenders can interact, share information, and work together… with the touch of a finger! 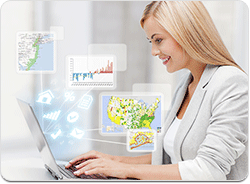 Save time & money by automating the mortgage loan process!